For nearly 18 months, the Harvard Launch Lab, a curated community and co-working space for high-potential Harvard-founded ventures, has been creating a vibrant environment of peer founders and startups, helping these ventures to get further, faster. The Launch Lab offers below-market-rate workspace, and full access to the entrepreneurial resources and programming of the adjacent Harvard i-lab, as well as connection and community. Currently hosting 26 Harvard alumni ventures representing nine different Harvard schools, the Launch Lab community is diverse, supportive, and inspiring. The Launch Lab accepts applications on a rolling basis, so you can apply at any time; however we may not be able to accept new ventures again in 2016, so we encourage you to Apply Now for the chance to join us! 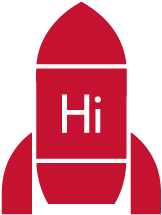 To learn more, and to apply to join the Harvard Launch Lab, visithttp://harvardlaunchlab.com; for questions send us an email atLaunchLab@harvard.edu. The Harvard Innovation Labs is a vibrant, cross-disciplinary ecosystem for the Harvard community to explore innovation and entrepreneurship while building deeper connections. It is an excellent example of the One Harvard vision and a leading catalyst for the Allston Science and Enterprise District. The Harvard Innovation Labs began in 2011 with the opening of the i-lab, expanded in 2014 when the Launch Lab opened its doors, and will continue to grow in both breadth and depth with future resources, including the Life Lab which comes online in 2016.